Bollywood actor Mahesh Anand famous for his negative roles in Hindi cinema found dead in his Andheri flat in Mumbai on Saturday morning. Two days later, Mahesh’s post-mortem report has come out and according to this actor died naturally and ruled out any foul play. He is suspected to have died at least two days ago in a very tragic and lonely way. When the neighbors came to smell, they informed the police and body was taken to Cooper Hospital for post-mortem. The 57-year-old actor lived alone in his flat at Kinara apartments, Versova, while his wife lives in Moscow. According to the police he found wearing a track suit in the house. Anand’s body had started to decompose and plates were found next to his body. A bottle of liquor was also found next to him. But the most painful thing is that even after the death Mahesh’s struggle did not end. The son, for whom he used to crave all the time, did not come to clam to his body after his death. The Versova Police have registered a case of accidental death and informed Anand’s sister who lives in Mumbai. She claimed the body and held last rites in Oshiwara crematorium ground. A popular villain of late 1980s and 1990s, famous for his tall and tough physiques, had been unemployed for the last 18 years. Despite seen as the main henchman of the villains in several films, and worked with many A-listed stars including Amitabh Bachchan, Sanjay Dutt, Shatrughan Sinha and Govinda, he did not have any work. He was facing huge financial constraints for many years. Reportedly Mahesh made a call to filmmaker Pahlaj Nihalani asking for a role in the film “Rangeela Raja”. Pahlaj told him only the climax of the film remained to be shot. He asked to be fitted into the climax. Filmmaker offered him only 6 min role in the film and he accepted without thinking. And after a long gap from the big screen he was recently seen in ‘Rangeela Rajaa’ with Govinda, which released in January this year just ahead 22 days of his death. 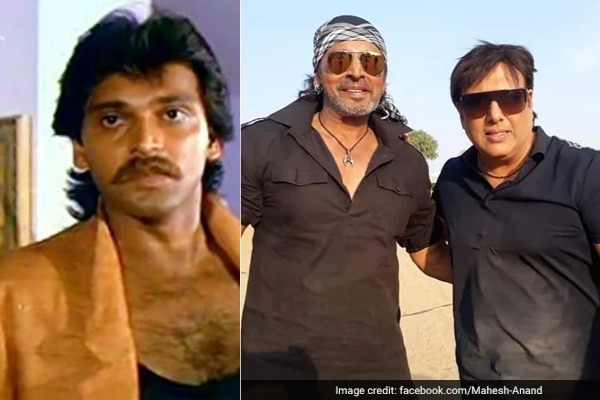 He was seen in many films like Ganga Jamuna Saraswati, Shahenshah, Majboor, Thanedaar, Betaaj Badshah, Coolie No 1, Vijeta, Lal Badshah, Aaya Toofan, Baaghi, Kurukshetra, Pyaar Kiya Nahin Jaata.